This dining table has a contemporary style, wide base and can seat four to six comfortably. 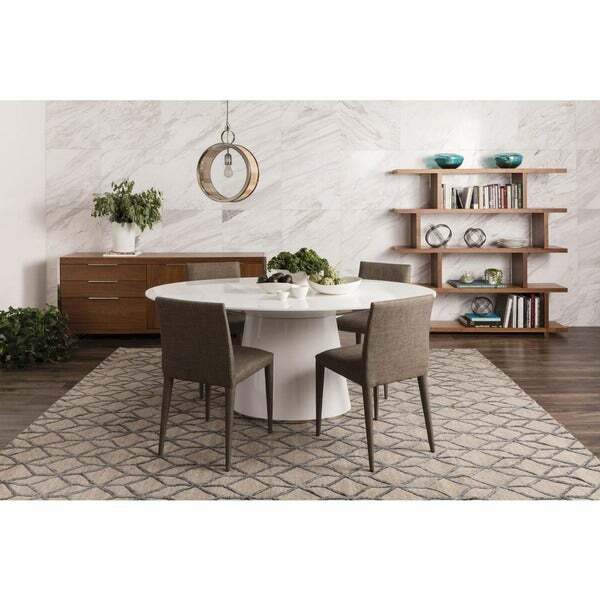 Enjoy the beautiful sleek finish this dining table offers. "Hi, I want to order the white color, but the only option I can select is "Walnut", does that mean you only have Brown?" This table is currently only available in the walnut (brown) colorway. You can find the colors we have in stock by using the options drop down menu. "Is this solid wood? How heavy? Are the top & base the same material? " This table is made from MDF with a walnut veneer and the weight of this table is approximately 103 lbs.